I believe they serve Jacob’s sausage at Dante’s in the river bend. 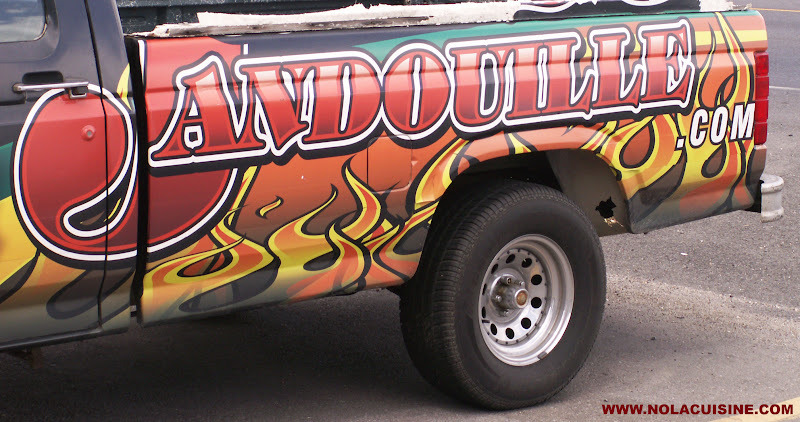 Are you aware of any web sites that rate andouille? 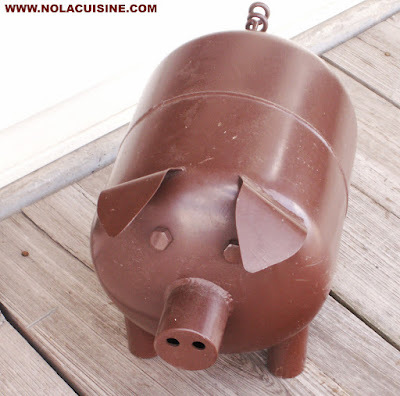 I really enjoyed the Boudin link and thought that was helpful but I’m wondering if there is one for andouille lovers too? I can’t find any. Fantastic blog post and pix, Danno!! Bailey’s may get all the publicity, yet every andouille afficionado knows who the *real* Andouille King is in the Andouille Capital: Jacob’s! For 23 years now at my bed & breakfast, I’ve been serving Jacob’s delicious sausage to guests from around the world. And Norm, equally fantastic idea related to Boudin Link. There should be a rating site for andouille. Tell me, what’s your fave? Can your sausage be ordered online and delivered? 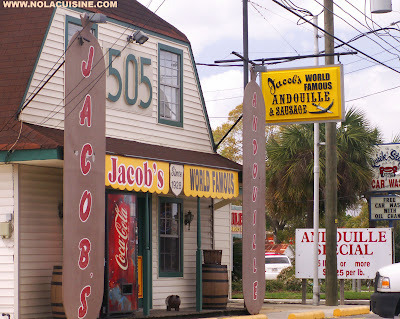 I was born in NO and miss Jacob’s, an all time favorite of the family for many years in LaPlace. 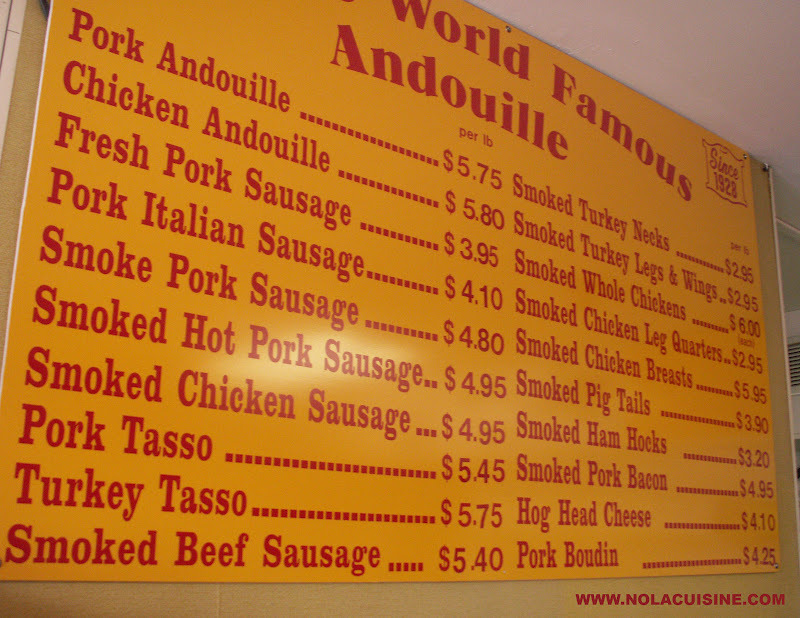 I went to college in Lafayette years ago when it was still USL so I grew up on Comeaux’s andouille. I’m in Tampa, Fl and we just don’t have it here. I was getting Aidell’s at Costco and some from a local buther shop which is terrible. The thing I like about Jacob’s is it’s USDA inspected so you can use it in restaurants. Christopher all the andouille I’ve ever eaten has been from around the Lafayette area unless I visited New Orleans which I have lots. I’ve always heard Jacob’s had a good product for andouille. They just started making boudin but the rating isn’t that good on the boudin link. What’s the name of your bed and breakfast? My degree is Hospitality Management. Having grown up in the River Parishes, my family has been a long-time supporter of Jacbos. 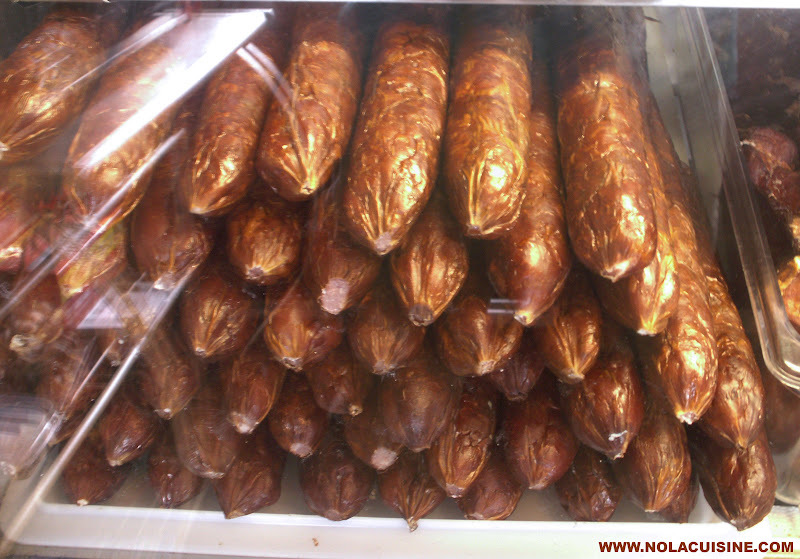 Thought I’d pass along a little information I recently learned: folks RAVE about the smoked sausage sold at Matherne’s, a small grocery store also located in Laplace, about a mile or two down Airline Highway (headed towards Baton Rouge). It’s on the right hand side of the road in the old Winn Dixie strip mall. The picture of the slice of andouille shouldn’t have holes in it. It was either not stuffed tight enough or the house (smokehouse) got too hot at one point. 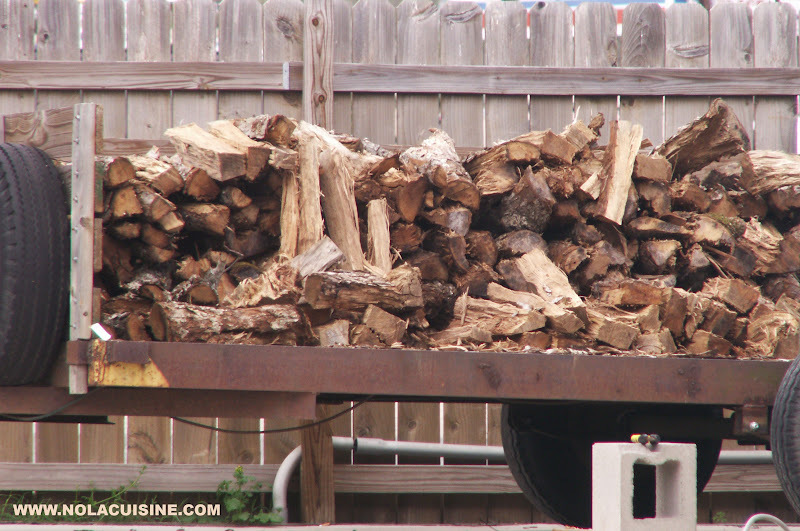 If you want a traditional product then you shouldn’t be buying from a USDA inspected facility. 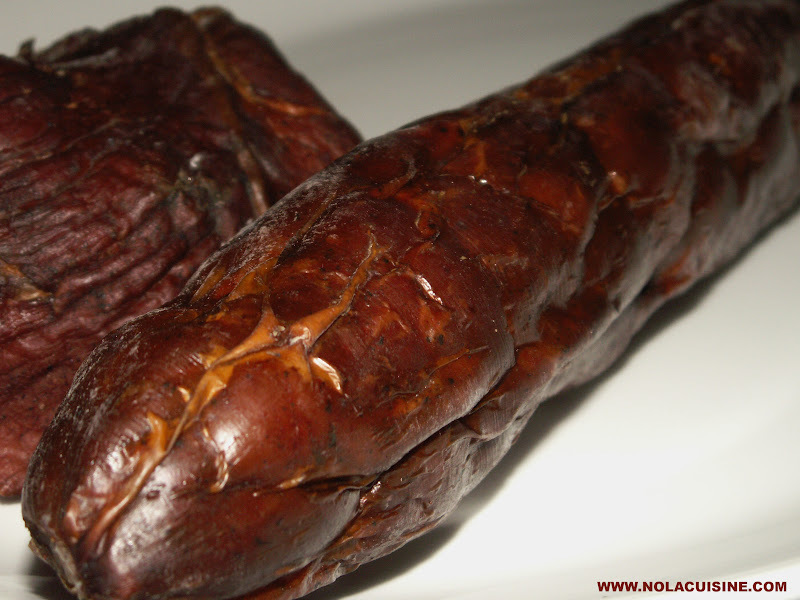 Preservatives are added and takes away from a lot of the natural flavor of the andouille. Just my opinion. 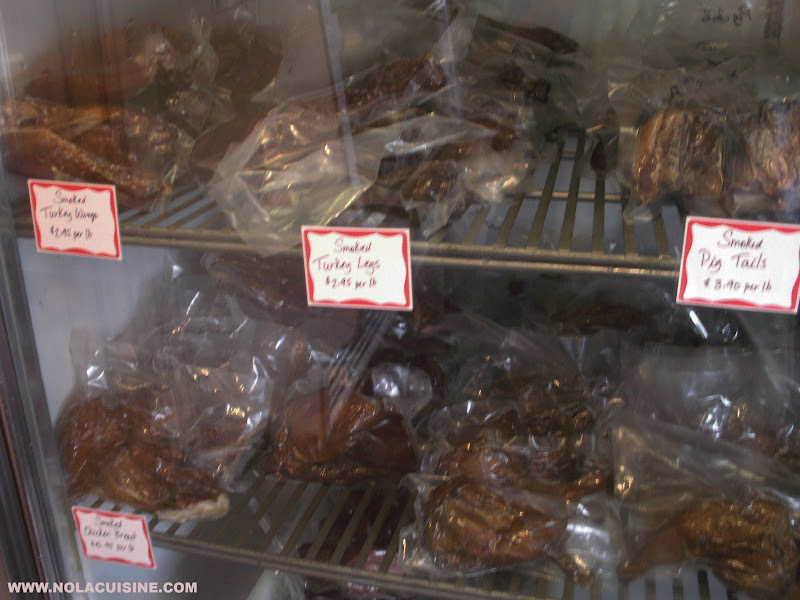 As a New Orleans Native, now living in the Florida Keys, I can relate to a suite case full of Andouille Sausage. 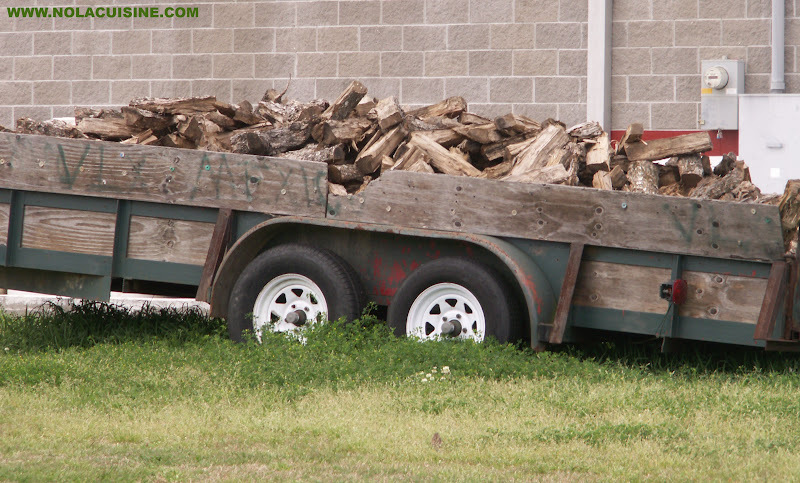 We often drive to bring back “supplies”. I have to say I agree with your opinion on the Tasso from Jacobs. 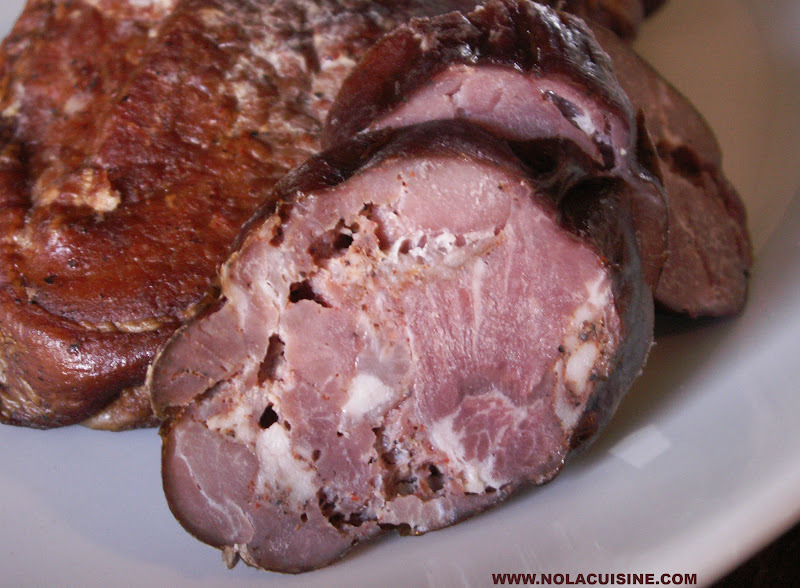 I have recently tried Tasso from Butcher as well, and still is not as good as the Tasso from Bergeron’s in Port Allen, Louisiana http://bergeronsboudin.com/ (you can order online)If you ever have the opportunity, it is worth the extra drive. 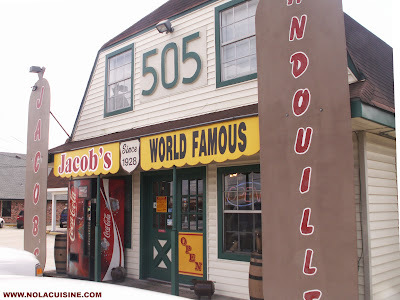 (Still like Jacob’s for Andouille) They have a huge retail store with lots to choose from and an restaurant next store. They are known for there smoked chicken patti’s and there chicken sausage is something to try as well. They open at 8am and the hot cracklins are ready and make a wonderful breakfast. 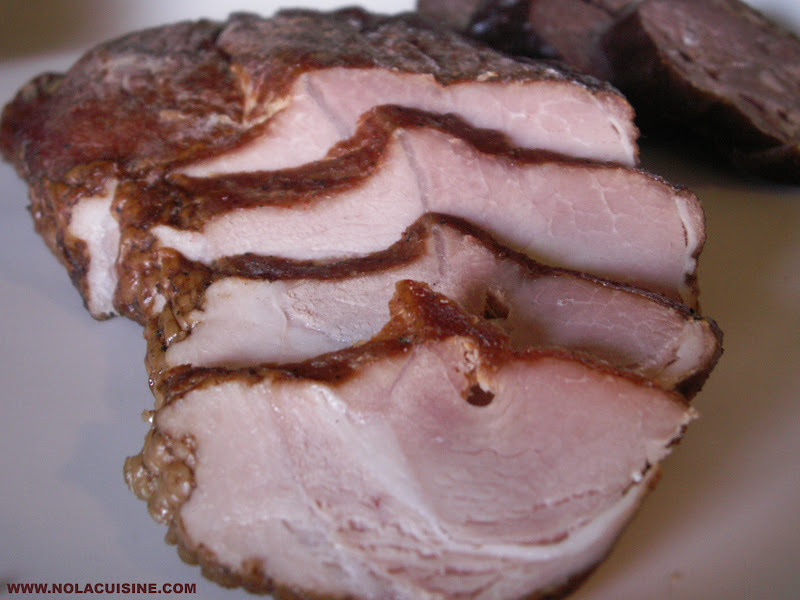 I am anxious to try your tasso! Love your site!